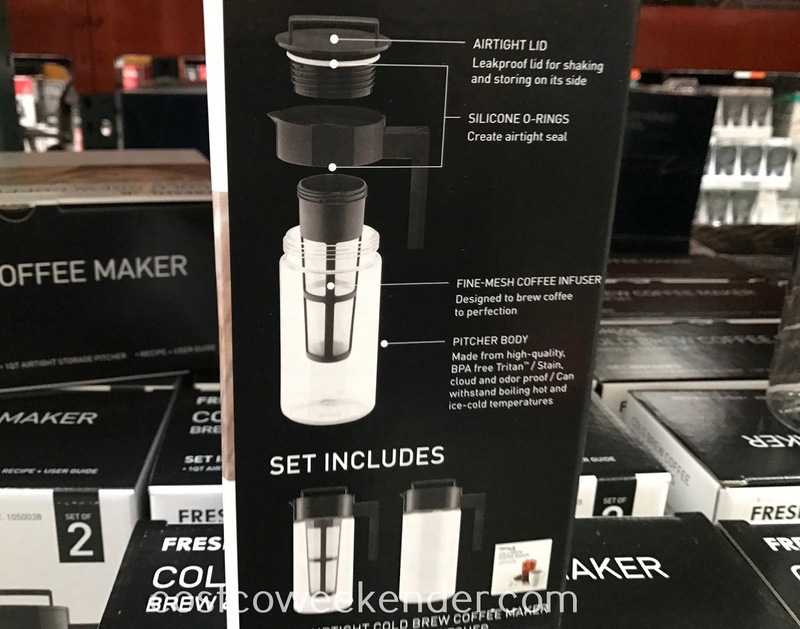 It's awfully nice to have a cup of coffee and get your caffeine fix even on a hot day. 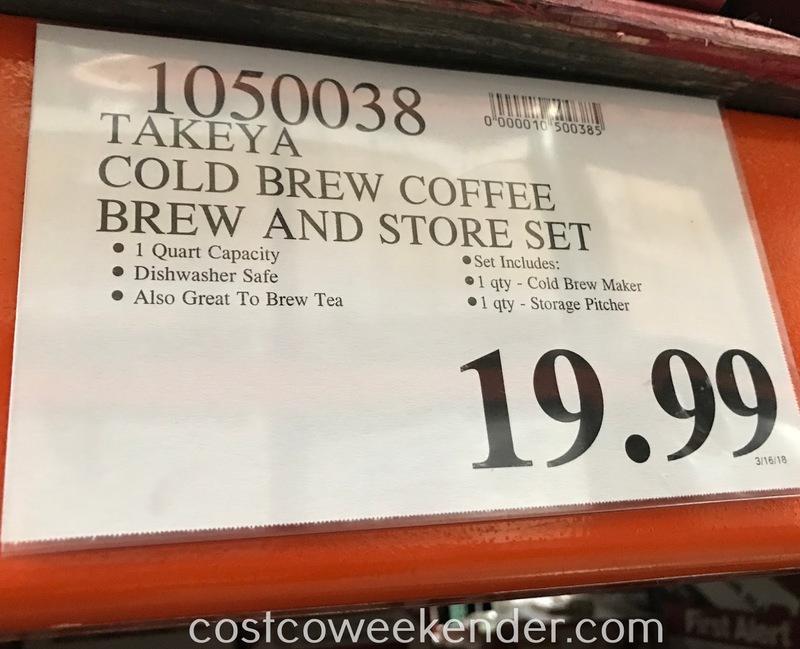 If that sounds good to you, then you should get the Takeya Cold Brew Coffee Maker Brew & Store Set from Costco. This allows you to make several servings of iced coffee for you and your family. Who says that coffee has to be hot? Not only that, but you can brew sweet iced tea too if that tickles your fancy instead. 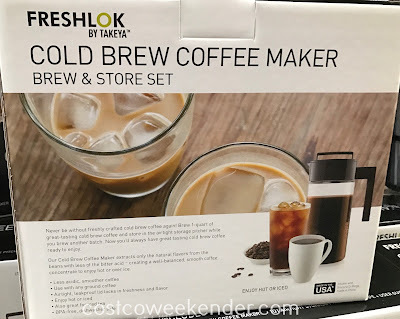 The Takeya Cold Brew Coffee Maker Brew & Store Set is great for those hot, summer days especially when you need to make several cups of coffee for your family or a party. 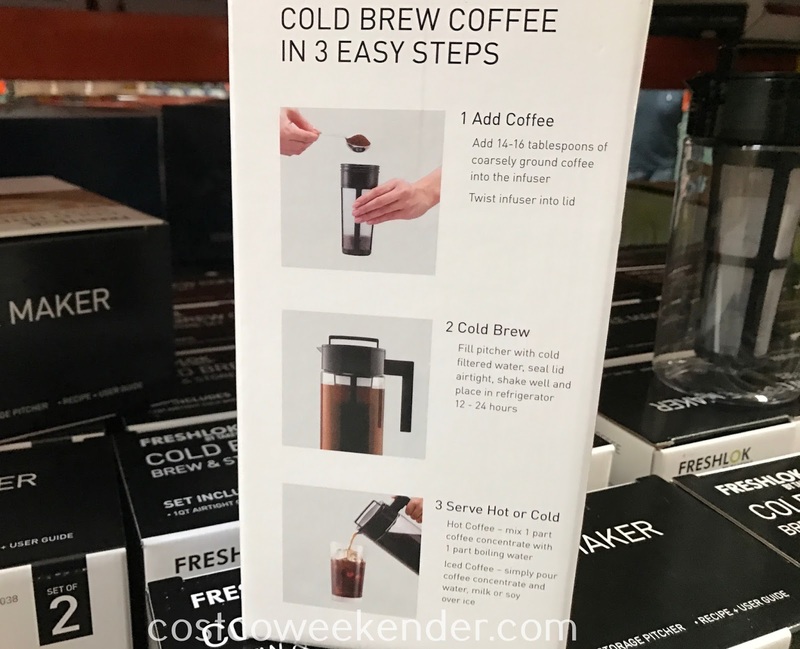 Never be without freshly crafted cold brew coffee again! Brew 1-quart of great-tasting cold brew coffee and store in the airtight storage pitcher while you brew another batch. 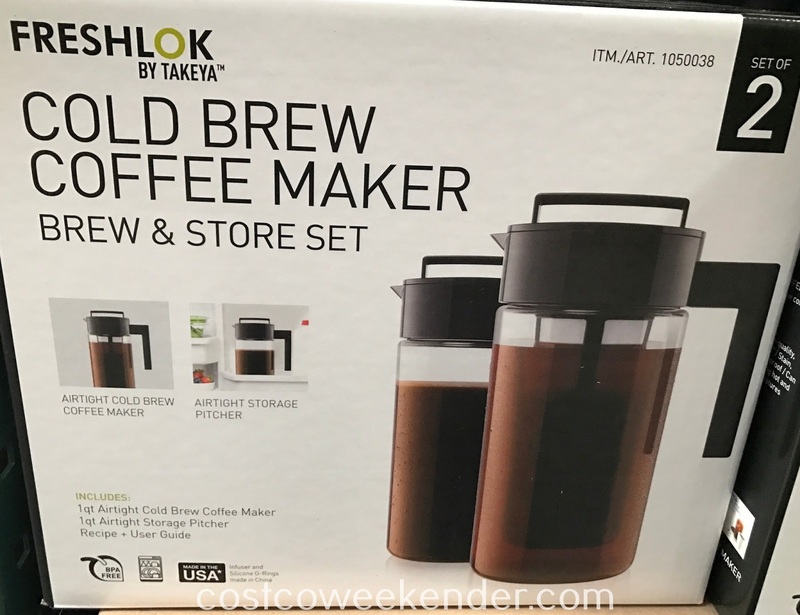 Now you'll always have great tasting cold brew coffee ready to enjoy. Our Cold Brew Coffee Maker extracts only the natural flavors from the beans with less of a bitter acid - creating a well-balanced, smooth coffee concentrate to enjoy hot or over ice.